It may not have been the type of season that everyone expects from the Canton program but Brown had a strong year as one of the league’s top setters. Brown led the team with 397 assists but was also fourth on the team with 55 kills. She served at a 94 percent clip and was strong on the defensive side, recording 113 digs. Brown’s accuracy and decision-making are critical to the Canton offense getting into the right spots. She is also a vocal leader for the Bulldogs and her enthusiasm will be important for Canton to rebound quickly. Over the past two seasons, Taunton’s offense has run through Kayli Fagan. Expect that to continue in 2018 as she returns for her senior year and third straight season as the Tigers’ primary setter. Not many teams in the state have the luxury of returning a setter that already has 828 assists to her name. Fagan will have a couple of new faces to work with but we saw at the end of last season the emergence of Sam Silveira (93 kills) and Kamila Cuevas (70 kills), so there will be some familiarity for Fagan to work with. Although she was just a sophomore, Jada Johnson was one of the top defensive players at the net last season. She racked up 48 blocks, good for fifth in the entire league. Now as a junior, and with a year of experience under her belt, look for Johnson to be a main weapon for the Eagles in 2018. With the graduation of Jess Allan, there is going to be opportunity for someone to step up and get some more attacks in. Johnson had 44 kills last year but we could see a big increase this season. Middle hitter seems to be one of the deepest positions for the Hockomock League this year and Attleboro senior Amanda Kadisevskis is a big part of that. She was the league leader in blocks last season, getting her hands on 105 opposing attack attempts. While Attleboro tries to build up to be a playoff contender, having a defensive presence like Kadisevskis at the net can go a long way. The Bombardiers are going to need someone to step up to fill the void left by Lexi Pereira (269 kills) and since she will be one of the more experienced net players on the team, Kadisevskis could be a big offensive option for Big Blue. With the graduation of Meg Hill and Julia Harrison, the Hornets will be relying on Greenly Kelly’s experience this season. Kelly had a strong season last year, finishing fourth on the team with 77 kills and second with 34 blocks. The Hornets are putting an emphasis on defense this season so having Kelly at the net to be the first line of defense is already something Mansfield can build off of. Harrison and Hill got a lot of swings last season so someone is going to have to step up and we think Kelly is going to be one of those players this season. Oliver Ames started last fall 0-6 and it seemed like the season was over before it even started, but the Tigers went on a dramatic run of 11 wins in its final 14 games to reach the tournament. Kemp was a key to that turnaround. The setter led the team with 464 assists, fourth-best in the league, and was third with 31 aces. The Tigers will hope the reigning Underclassman of the Year can spark a much better start to the season and that Kemp’s developing reading of the game and accurate passing can help OA stay one of the league’s most balanced attacking teams. No one has bigger shoes to fill than King Philip with the graduation of two-time Hock MVP Sydney Phillips, but the Warriors are in good shape with the return of Kat Kmetz on the outside. 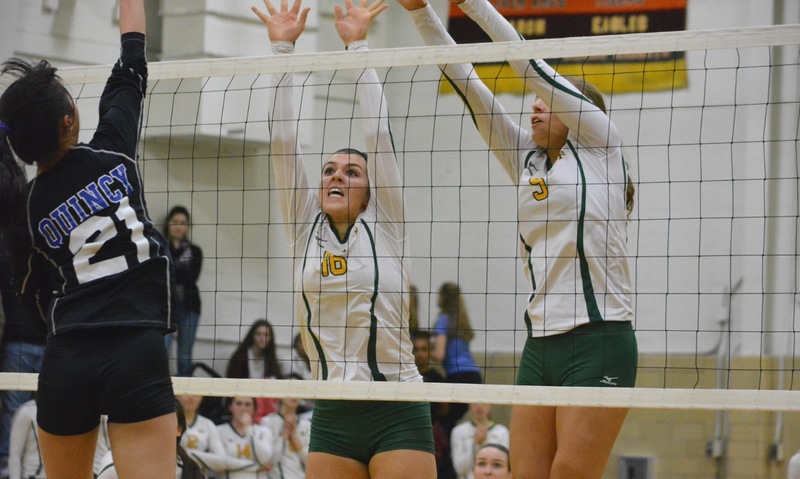 Kmetz gives the Warriors a little bit of everything with strong hitting, serving and defensive skills. She finished with 38 kills last year but had an impressive 41.8% kill percentage. She was also a strong server for the Warriors with a 93.9% serve percentage, 231 total service points and 30 aces. She added a total of 18 blocks as well. Now in her senior season, King Philip will rely on her experience to try to make a run at another league title. The 2016 Underclassman of the Year followed up her stellar sophomore season with another strong fall for the Panthers to help Franklin return to the postseason. 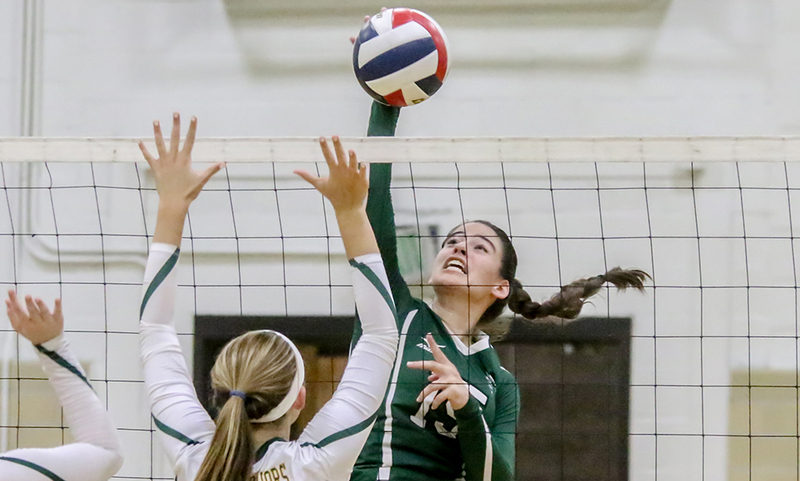 McGrath got things going for the Franklin offense with 545 assists, 148 service points (including 37 aces), and was also a defensive stalwart with 63 digs. 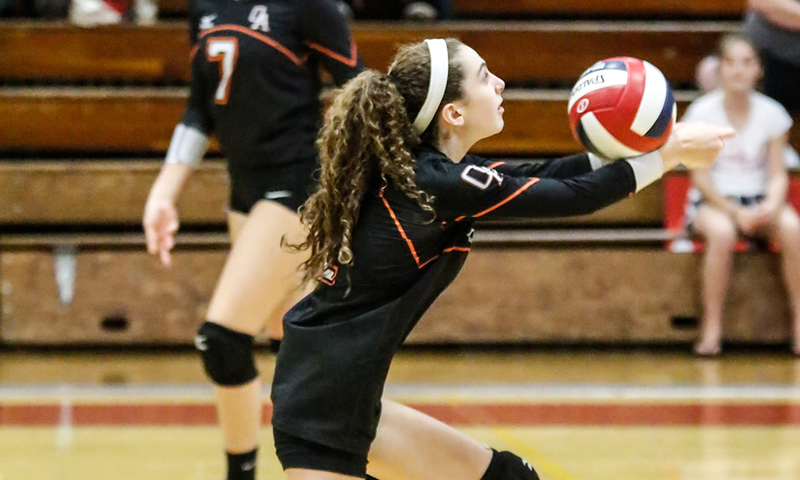 She used her athleticism to cover ground on the defensive side and she consistently made the right decisions as a setter to keep all of her teammates involved and find the right angles to attack opposing blocks. McGrath will be counted on again this fall to set up her teammates and keep the program in the running for a league title and another tournament berth. The Black Knights had 16 wins a season ago and finished a close second to North Attleboro in the Davenport division. This year, some of the big hitters on the outside are gone but Turner is back as the team’s setter and top server to try and build on the momentum from last fall. Turners had 278 assists as a junior and led the league with 84 aces and 221 services points, serving at a 91 percent clip. Those service points will be important this year without the likes of Val Whalen at the net. Turner also helped out defensively with 104 digs. For Stoughton to make another run at a league title, the offense is going to run through Turner and fellow setter Hannah Holden. When you look at last year’s list of kill leaders, almost all of the outside hitters graduated. But Franklin is one of the few schools that will bring their top outside option back as Ellie Wisniewski (124 kills) is back for the Panthers. We’ve seen Wisniewski step up each of the last two seasons, making the jump from 75 kills as a sophomore to 124 last season, improving both her kill percentage and hitting percentage. And not only is she a weapon at the net, she’s dangerous at the service line. She landed 34 aces last season with an impressive 90.5% serve percentage. Wisniewski also gives Franklin some flexibility defensively because she can play in the back row (73 digs, 216 serve receives in 2017).